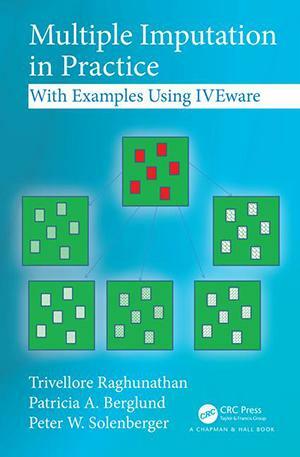 This book will be helpful to researchers looking for guidance on the use of multiple imputation to address missing data problems, along with examples of correct analysis techniques. Trivellore Raghunathan is the director of the Survey Research Center in the Institute for Social Research and professor of biostatistics in the School of Public Health at the University of Michigan. He has published numerous papers in a range of statistical and public health journals. His research interests include applied regression analysis, linear models, design of experiments, sample survey methods, and Bayesian inference. Patricia Berglund is a Senior Research Associate in the Survey Methodology Program at the Institute for Social Research. She has extensive experience in the use of computing systems for data management and complex sample survey data analysis. She works on research projects in youth substance abuse, adult mental health, and survey methodology using data from Army STARRS, Monitoring the Future, the National Comorbidity Surveys, World Mental Health Surveys, Collaborative Psychiatric Epidemiology Surveys, and various other national and international surveys. In addition, she is involved in development, implementation, and teaching of analysis courses and computer training programs at the Survey Research Center-Institute for Social Research. She also lectures in the SAS® Institute-Business Knowledge Series. Contact her at pberg@umich.edu.